FedEx is an American shipping company that employs more than 425,000 workers worldwide. 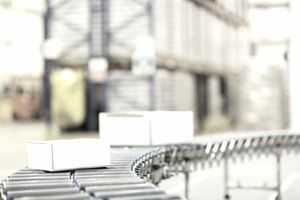 In addition to efficient shipping around the globe and retail stores that sell office supplies and provide print and shipping services, FedEx also offers businesses and customers diverse transportation, e-commerce, and business solutions. Employment opportunities in a wide range of positions are available in both Canada and the United States. The Federal Express Corporation headquarters are in Memphis, Tennessee, with business locations throughout the U.S. and Canada. FedEx Corporation is the parent company, supporting the business operations of their operating companies, which include FedEx Custom Critical, FedEx Express, FedEx Freight, FedEx Ground, FedEx Office, FedEx Services, FedEx Supply Chain, FedEx TechConnect, FedEx Trade Networks, and FedEx Truckload Brokerage. The diverse companies under the FedEx umbrella provide opportunities for job seekers with all types of interests, education, skills, and strengths. FedEx has been recognized by FORTUNE as one of the World’s Most Respected Companies, and one of the 100 Best Companies to Work for in America. FedEx employment information, including professional, part-time, independent contractor, salaried, and hourly jobs, is available on the FedEx jobs website. To get started, first select the country where you would like to work (either the United States or Canada), and then pick the operating company you are interested in working for from the drop-down menu. If you are open to relocating anywhere, leave the location box blank to see available positions at all FedEx companies. You can further refine your search by job category, company, and keyword. When FedEx has urgent hiring needs or high demand positions, they feature these jobs, categorized by operating company. You can select the featured job, learn about the position, and apply, send to a friend, or save the job to your cart. FedEx offers competitive compensation, with performance-based salary increases and individual and team incentives. The company benefits include medical, dental and life insurance, disability insurance, 401(k), stock purchase plan, tuition assistance, paid time off, pension, and discounts on shipping and travel. They also offer diverse reward programs, which recognize employees who exemplify the values of the company in the areas of service, leadership, profitability, customer service, and community service. Through the most advanced technology and support, FedEx helps to ensure that military veterans transition into the corporate world in a smooth manner. To discover career opportunities for vets and more detailed information about their programs, simply enter your military occupation code on the Military webpage. The FedEx Corporation is comprised of many individual operating brands, and offers information about each one on its Companies page. Each operating company has its own unique structure and opportunities for different career paths. Job searchers can click the “Learn More” tab under each category to discover what each one has to offer, from internships and leadership or apprentice programs to opportunities as a military veteran. Here, you will find information about the career programs in each company to help you find the best fit for your application. If working for a company with a strong emphasis on giving back is important to you, then FedEx could be the right fit. Through its program FedEx Cares, the company has given back to promote economic growth, entrepreneurship and social progress in under-served communities around the globe. There are many volunteer opportunities for employees within their own communities, and it is a core part of the company culture. What Are Some Common Questions Asked on a Job Application?